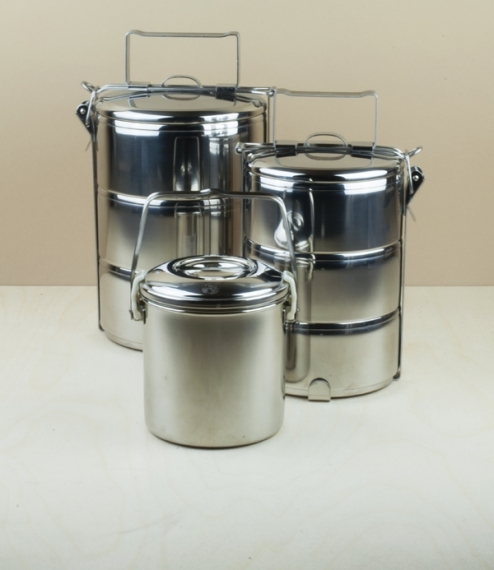 Compartmentalised food carriers called pinto in Thailand but most famously tiffin carriers or dabbas in India where the delivery exploits of the dabbawalla have now achieved near legendary status. 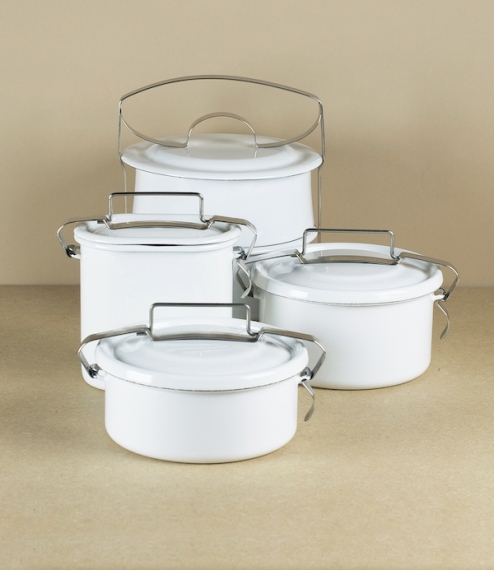 Common throughout Asia as containers of both home cooked and restaurant lunches they allow separate dishes to be transported together without mixing, very useful if not making sandwiches or hoping to minimise waste wrapping even if you do. 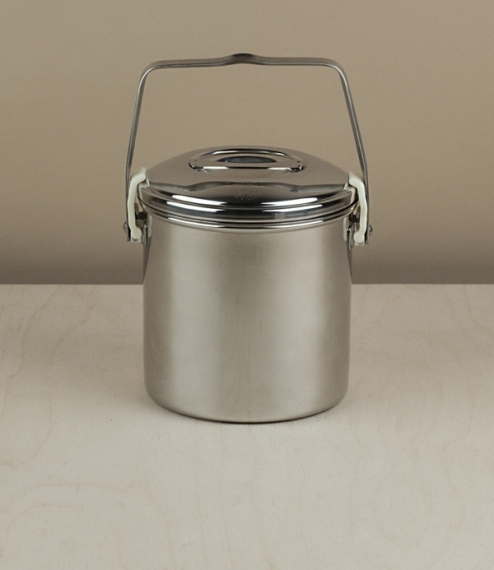 The smallest 10cm pot has a separate removable tray, dimensions of about 10cm diameter by 10.5cm high, and a capacity of 0.7l, the 12cm diameter triple layered carrier a height of just over 22cm, the 14cm just over 25cm, and the 16cm almost 27cm.